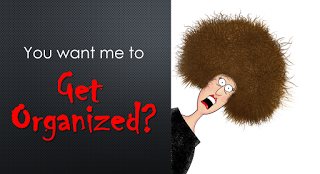 Blogger DearMYRTLE wants to help genealogists get organized for 2016. She proposes a weekly set of tasks to help us achieve our goal. Ol’ Myrt explains that “Each week's post will feature options for paper and digitally-oriented genealogists, with an eye to the beginner and intermediate researcher.” If you want to participate in this year-long activity, read more about it at FINALLY Get Organized! First, a confession. I didn’t complete last week’s (Jan. 17-23) tasks. The first of two tasks was to “Transcribe every document you've collected on the first 4-four generations in your surname/maiden name binder.” I counted how many documents I had in those first four generations – there were 32 of them. I felt overwhelmed by the amount of work that would entail. So, I procrastinated, and by the end of the week, I hadn’t done any transcribing. Here’s how I’ve completed the fourth week’s tasks. I haven’t yet signed up as a volunteer indexer, but when I do, I’ll choose either the newspaper vitals or the 1881 census (in French). A few years ago, I created a surname binder for my mother’s maiden name (Desgroseilliers), and more recently, I created one for my husband and I. (I also appear as a tab in my maiden surname binder.) Task done. Task 4. “Update your genealogy program to include your siblings”. I added my siblings (my sister and my brother) in my genealogy program (Family Tree Maker 2012) today. Task done. Now that the first month of DearMYRTLE's organization checklists is over, I estimate that I've done about 75% of the work. I hope to improve that percentage with the February tasks!